So a couple months ago I started purchasing the parts for my new PC. I wanted something high-end that would last a good few years, and this is what I created. The build went quite smoothly, the only real hiccup I had was my lack of understanding of the RAM I had purchased. I was unaware it required a manual overclock to actually reach the advertised speeds. But upon figuring this out Google was my friend with an actual guide for the exact RAM kit and I was then sorted. The only changes I can see in the near future are the CPU cooler and the storage. I went with the stock cooler because of the fantastic value that is the Ryzen 7 2700x, but it is actually very load under load even with an aggressive fan curve to help combat noise. I will probably pick up a 2TB HDD just to store less popular games and media. The next step is improving the work station, which will be a long process as this is a new home, and decorating needs to be tackled before I get anything finalised. Sorry for the lack/quality of images, if you want more, I can get those sorted. Can't fault this processor at all, what a great value piece of kit. This wasn't my first choice, as the main competitor is the same cost, but unfortunately was sold out all across the UK for a long time! So I went with this, and I have no regrets at all. What a great looking board that performs as good as it looks! Beautiful case, which was an absolute dream for cable management! Be warned, it is a fingerprint magnet, requires some upkeep to make sure it's looking fresh. 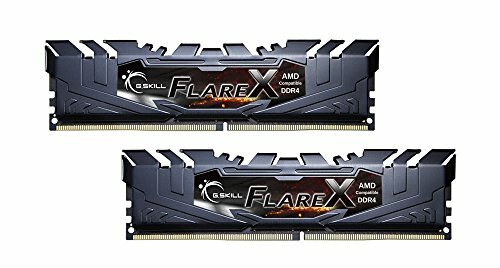 Is it worth it getting a 2080 over a 1080 or 1080ti? Seems like the 2080 is the way to go in most cases when it comes to gaming. It's typically cheaper than the 1080 Ti and offers better frames in most applications. Take this with a grain of salt as I'm far from an expert on computer hardware, just been doing a lot of research for my next build. Ok thanks I will definitely read the article. It completely depends on what you're chasing to be fair. If you are playing at 1080p a GTX 1080 or RTX 2070 would be absolutely ideal for pushing high fps on high refresh rate monitors. If you wanted to game at 1440p I'd probably push this to RTX 2080 or GTX 1080ti for higher FPS on high refresh monitors. The RTX supports DLSS and still has a whole generation of driver maturity ahead of it. The 1080ti has hit it's peak and performance won't get any better. However, if you can get a really good deal on a GTX 1080ti (£100 less than a 2080) I'd probably go down that route. Thanks for the input. Yea I mainly game on 1080p so 1080 would be ideal. Make sure to consider the RTX 2070 as well, same performance and cost, but new technology!